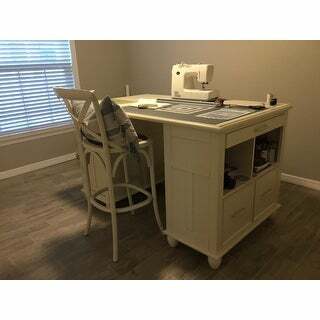 Purchased barstools with Matching table chairs and the 48-inch Millwright Wood Dining Bench - 48 x 14 x 18h and matching trestle table. All in white. Perfect heights and color. Perfect for small spaces. Now I can seat 10 in a relatively small area. 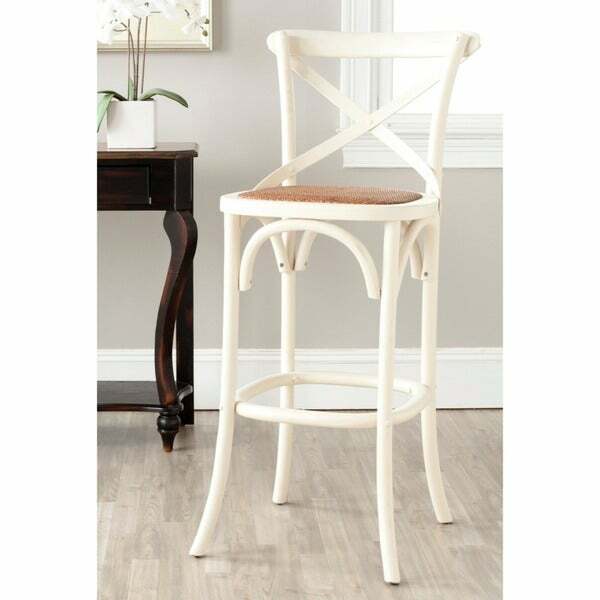 With its willowy frame and iconic cross-back inspired by MichaelThonet's classic bistro chair, the Franklin barstool by Safavieh isideal in kitchen or great room. Crafted of solid American oak,including the x arch brace, this casual barstool is finished inivory with a seat of rattan caning. These are a very dark ivory almost khaki. They are a little darker than the photo. The rattan is a little scratchy, too. However, I do feel that these were higher quality than the very similar chairs I purchased from Ballard.com and much less expensive. I love the look but didn't love the color. I love this chair! It’s a perfect addition to my craft desk. It’s very comfortable and attractive as well. I have seen these chairs locally for twice the price! Excellent quality and value! I would recommend! The seat height is 30.7 inches. A good color for my kitchen and the correct seat height. Love the look and overstock is the least expensive place to buy them!